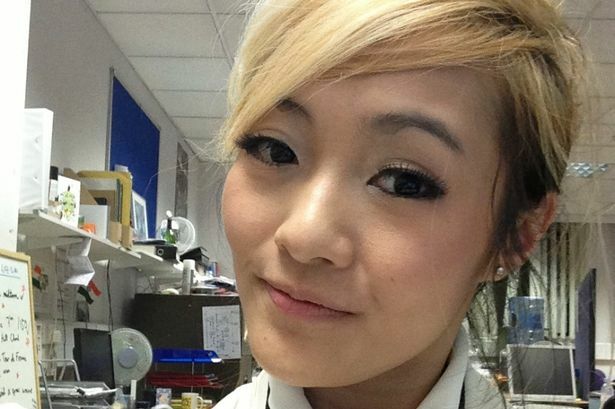 British woman Maggie Lieu, 24, says her Mum is ‘proud and happy’ that she is one of the final 100 candidates to travel to Mars in 2024. She also says she is ‘very open’ to having a baby on the Red Planet – despite the unknown risks of giving birth to what would be the first Martian. Lieu has made the final 100, out of 200,000 applicants for Mars One’s mission – all of whom applied knowing that the trip would be one way. There is no ship to take the applicants back from Mars, and all the astronauts will die there, after they fly to the robot-built colony in 2024. Despite her decision to die on another planet, Lieu told Metro, ‘My family and friends are really supportive. I have been flooded with messages from everyone telling me how proud they are. I liked this one in particular: “You always said you would be an astronaut, very inspirational. Good luck with everything hun”. She also says that she is open to the idea of giving birth to a Martian. ‘I’m very open to having a baby on Mars,’ she said, ‘I think it would be really exciting to be the mother of the first ever baby born there.No one has done research on giving birth in low gravity so it is a risk. In order to establish a colony on Mars, reproduction is inevitable and essential. Im curious to know the impact it will have on our knowledge of pregnancy in space. Mars One hopes to finance its mission via a reality show – and plans for two astronauts to leave for the colony every year from 2024. Lieu will now begin a ten-year training programme for her journey to the Red Planet. ‘We will have 10 years of training,’ she says. ‘Group training to make sure we can work in a team and get on with the people we will be spending the rest of our lives with. Technical training to brush up on all the skills we need to survive on mars – medical, dentistry, repairs, agriculture and finally personal training to make sure we can cope in isolated conditions, to make sure we can deal with the 3-22minute communication time delay and to make sure we maintain top shape both mentally and physically.